As the percentage of the global population over the age of 65 continues to rise, diagnoses of Alzheimer’s disease are also quickly growing. While 5.1 million Americans in this age group have already been diagnosed with Alzheimer’s disease, that number is predicted to grow by 40% by 2025, according to the Alzheimer’s Association. With the current trajectory, 13.8 million Americans could be affected by 2050 if no treatments are found to prevent or cure the disease. Monitoring the cognitive health of millions of seniors requires technologies beyond traditional paper and pencil neuropsychological tests. Leveraging web-based tools to capture baseline measurements followed by periodic follow-up tests will be an important, practical way to manage such a large population. The Cogstate Brief Battery (CBB), a group of four computerized neuropsychological tests, has proven to be reliable across multiple research studies in measuring subtle changes in cognition in controlled experimental settings. Measuring psychomotor function, attention, visual learning and working memory, the CBB, when deployed as a web-based application, can be accessed from any setting with an Internet connection, like at home. In a recent study to gauge its potential use in an unsupervised, large population, researchers investigated the use of the CBB in an unsupervised, at-home setting among a large group of seniors. Recruiting volunteers from the Health Professionals Follow-up Study, an ongoing longitudinal study that started in 1986, the research team asked 7,167 men with a mean age of 70 years to complete the CBB, and1,866 agreed to participate. Taking about 15-20 minutes to complete, the CBB uses images of familiar playing-cards and the battery has been shown to be equally applicable across all cultures and education levels. To validate that the unsupervised use of the CBB would identify cognitive decline consistent with known risk factors, the researchers also reviewed health and lifestyle data collected from the same volunteers in a 2010 survey. The covariate data included age, body mass index (BMI), smoking, exercise, and dietary intake of alcohol, nuts, fish, multivitamins and overall calories. In addition, diagnoses of diabetes, hypertension and myocardial infarction were also included. When comparing individual CBB test scores with these risk factors, several associations were found. Older men did significantly worse across all tests when compared with their younger peers. Men with a higher BMI performed worse on the One Card Learning test, a measure of visual learning and short-term memory, but did better on the One Back test, a measure of attention and working memory. Men who consumed 1-2 alcoholic drinks per day did better on the Detection test, showing better psychomotor speed than non-drinkers. Those with hypertension did worse on the Identification test, which measures visual attention, when compared to men without that diagnosis. Comparing overall cognition scores, or composite scores, from all four CBB tests, the researchers found several significant associations. Those men who consumed more nuts, defined as more than two servings per week, showed higher composite scores. Having a diagnosis of either hypertension or diabetes was also associated with lower composite scores on the CBB. 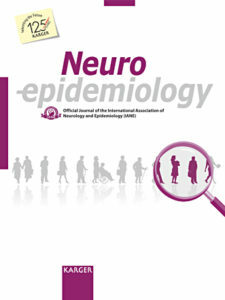 The research has been published in Neuroepidemiology. Overall, the cognitive test results from self-administering the Cogstate Brief Battery at home correlated with several risk factors known to be associated with cognitive function in older adults, suggesting researchers can feel confident in using the online CBB for cognitive assessments of large, dispersed populations.